Fundraising brings many valuable extras for our children. Listed below are a number of ways that you can support Providence and help raise extra funds to better our school for your child(ren)! 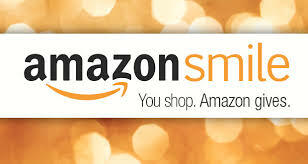 Amazon Smile is a simple and automatic way for you to support our school every time you shop, at no cost to you. When you shop at smile.amazon.com, you’ll find the exact same low prices, vast selection and convenient shopping experience as Amazon.com, with the added bonus that Amazon will donate a portion of the purchase price to Providence Montessori. Sign in with your existing Amazon or Amazon prime password to shop and support Providence. Does your office purchase items online from Office Depot? Do you buy home office supplies online from Office Depot? Shop online and participate in Office Depot’s Give Back to Schools program! Your designated school ….. PROVIDENCE!! ….. will receive 5% back in credit for FREE supplies from your qualifying purchase. Our school ID# is 70113248. You can also search for us using the state and zip … 40508. Thanks! Our outdoor metal tree sculpture, designed by local artist Doug Wilson, is located next to the front entrance of our Texaco campus. Help us make it grow with donor leaves! Available in Gold, Silver, and Bronze, each leaf can be engraved with up to three lines of text. Display your family name, honor a Providence graduate, or use wording of your choice on your leaf to be displayed on this unique and commemorative artwork. A member of our staff will contact you for the details of your engraving. We also participate in the “Box Tops for Education” program. Providence earns cash for every Box Top collected – it all adds up! Collect and bring them to the office! Magic Beans Coffee Roasters offers you a unique opportunity to support Providence Montessori through subscriptions to their Origin Explorers Club. You can help raise funds for Providence while enjoying a high-quality, fresh, local product. Rather than the traditional model of catalog goods or low-quality food products sold at a high cost, Magic Beans offers a product you want and can use – exceptional coffees from around the world! At the beginning of each month, Magic Beans delivers 2 twelve ounce bags of our featured monthly selection from the Origin Explorers Club to Providence within 24 hours of roasting. Providence will then distribute your coffee to you. If you have friends, family, or neighbors who would also like to subscribe, they may do so – you can pick up their coffee for them at school, or we can ship them for an extra charge. Subscribers to the program will pay the same monthly fee as our regular customers here in Lexington. Providence will receive 15% of all sales through this program. Magic Beans feature coffees from around the world – the Americas, Indonesia, and Africa – many from a single farm. We believe that great coffee is made on the farm, and our roasting highlights the unique qualities imparted to the beans by the farmers themselves, as well as the region of origin. We love to talk coffee – if you ever have a question, whether it’s about where a coffee is grown, brewing suggestions, or whatever, just give us a shout via email or phone. The Green Tree Plastics ABC PROGRAM is a cap and lid recycling program specifically designed by school children for school children. 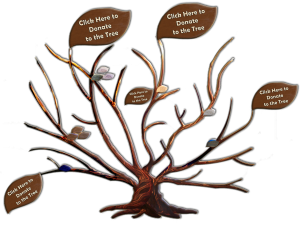 It is a tool that helps teach children about caring for the earth and green living. The lids/caps that Providence collects are turned in to 100% recycled plastic benches that belong to our children. The benches are prominently placed (at both our Texaco Road and Erdkinder campuses) so the students can show others what they have accomplished through their recycling efforts. The school offers clothing, bags, umbrellas, bumper stickers and license plates with the Providence logo.